The oil major, which has no facilities to liquefy natural gas, will send at least 3.5 million tons of LNG to the Egyptian Natural Gas Holding Company. 24 cargoes will be supplied over a two-year period. EGAS Chairman Khaled Abdel Badie said Rosneft would supply 24 LNG cargoes over a two-year period, starting from the last quarter of 2015. The parties did not disclose the exact volume of supplies, but a typical LNG tanker transports between 145,000 and 155,000 cubic meters of LNG (between 3.5 and 3.7 million tons). Badie added that the contract with Rosneft would help Egypt cover a deficit in the domestic market and compensate for the gap between current production and demand until new gas projects are launched in the country. Egypt holds Africa's third-largest gas reserves, and the government expects to raise up to $35 billion in foreign investments in the coming years for the implementation of 50 oil and gas projects. 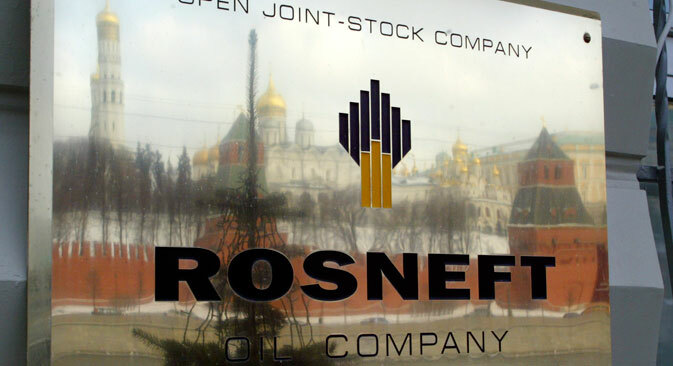 Rosneft’s partner BP has major operations in Egypt. Rosneft also signed an agreement with the Egyptian General Petroleum Authority (EGPC) for the supply of petroleum products and liquefied petroleum gas (LPG). In 2015, Rosneft has participated in all tenders for spot deliveries of oil products and liquefied petroleum gas to Egypt. The Russian company won the right to supply EGPC with 425,000 tons of petroleum products, worth about $150 million. The sides expect to sign binding agreements during the third quarter of 2015. Rosneft will have to source the LNG from Russian producers. In 2013, the oil company signed an agreement with its Sakhalin-1 project partner ExxonMobil on the construction of an LNG plant with a capacity of 5 million tons, expandable to 10 million tons. There were talks to launch another LNG plant in 2019, but there has been no progress. Another LNG project of Rosneft, in partnership with Dmitry Bosov's company Alltech in the Nenets Autonomous District, was suspended on account of sanctions and a dispute over gas export rights. Gazprom signed a 7-year LNG supply agreement with Egypt this year. The gas major also sources LNG from other producers, and has a significant portfolio of such contracts. Rosneft is likely to source its LNG for Egypt from international traders Vitol and Trafigura, a source told Kommersant. Does the volatility of Chinese stock markets pose a threat to Russia?